What Is the Best Mineral Makeup? 3 What Is the Best Mineral Makeup? Imagine unzipping your makeup bag in the morning and, instead of rummaging through dozens of half-used products, finding only what you absolutely need. You might argue that you don't always use the same makeup for every occasion, and that's totally understandable. So why not compartmentalize? Keep your dailies in one place and pack away your every-now-and-thens for another time. When it comes to easy beauty, we've got you covered with eight essentials, complete with tips on how to use each must-have item. Start your makeup routine by focusing on healthy skin: not only will you need less makeup, but you'll also achieve a naturally glowing profile. Try making your own all-natural toner to restore your skin's pH level and achieve a balanced, clear complexion. We've all been guilty of collecting too many versions of the same thing, and moisturizers are part of this bad habit. You can toss them all once you've made your own essential oil face moisturizer, with ingredients that are gentle on even the most sensitive skin. Quality makeup brushes are expensive, take up a decent amount of space and need to be cleaned often. So, what if you only used a hard-working trio? You'd cut down on costs, clutter and time. 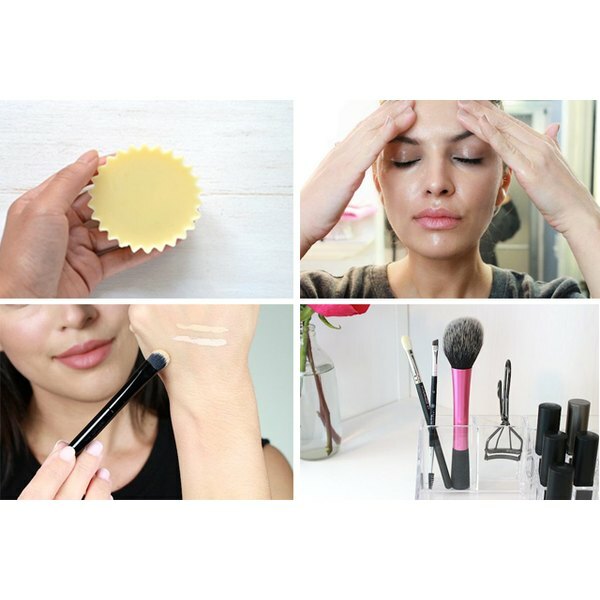 Here are 3 multitasking makeup brushes that will radically simplify your entire makeup process. Concealer is one of those products that many of us endlessly experiment with simply because we have so many questions. How do you know which texture is right? Do you apply concealer before or after foundation? Having the answers will help you find your one essential concealer. Figure out how to apply concealer, and pretty much everything else you need to know about this tricky product, to finally feel at ease. Picking a blush that gives you that perfectly flushed, I-just-finished-a-light-workout glow is a very hard thing to do. Here's a pro tip: determine if you have warm or cool skin undertones before landing on your shade. 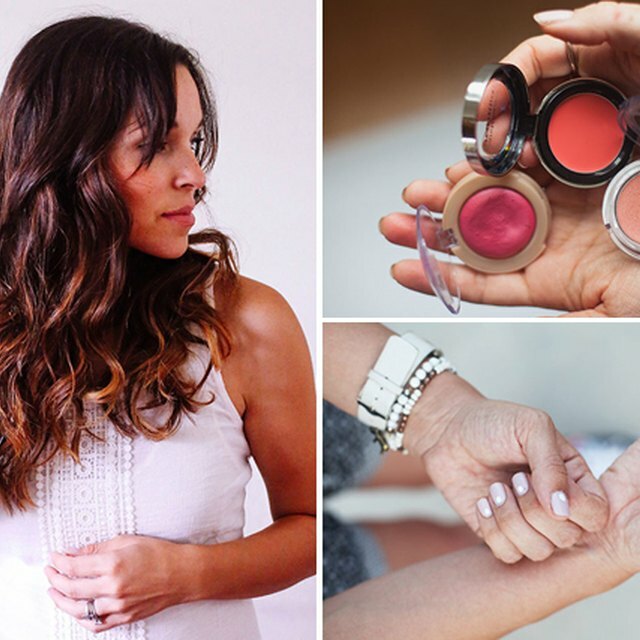 These tips on how to choose a blush color will help your skin get that ultimate finishing touch. If you're really looking to simplify, and you want to keep just a single lipstick in your makeup bag, pick something that'll have maximum impact. You'll want to make sure you pull it off 100 percent, so here's exactly how to wear a bold lip color, with tips on applying it correctly and complementing the rest of your confident look. Chances are, you already have everything you need to effectively remove your makeup in a way that's good for your skin. But, it's just as likely that those items aren't currently in your makeup bag. Learn how to remove makeup naturally, and it'll become a vital step in your daily routine. Looking to throw out some half-used bottles of body lotion? These natural, simple body butter bars are small enough to fit in your makeup bag, gentle on your skin and easy to make at home. They're ultra-moisturizing, too. Choose from a variety of oils to customize your bar to your skin's needs, and then stick it back into your makeup bag. You now have everything you need! Christina Nicole is an editor for a health career website. She writes everything from health industry news, to food and craft articles, to longform profiles. She has published narrative nonfiction and writes fiction in her free time. Christina is currently co-authoring a career development book.